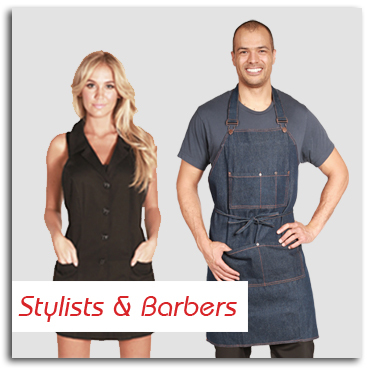 Whether you're a hair stylist, esthetician, or a dog groomer, a smock or apron is an essential piece of your wardrobe. It needs to be extremely durable, as it's likely to come in contact with a wide variety of chemicals, not to mention, the daily wear and tear of your day-to-day duties. Because durability is key, aprons, smocks, and other covers are often purchased in bulk. This results in a one-size-fits all design that is extremely unflattering and uncomfortable. The Ladybird Line is different. 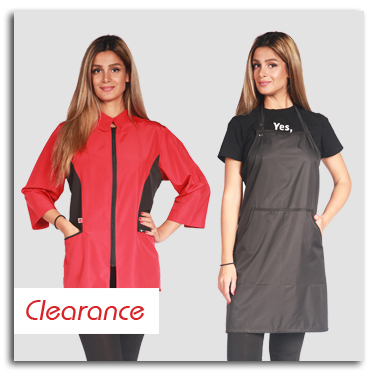 Our smocks, aprons, and covers are made out of extremely high-quality materials that are chemical- and water-resistant, just like you would expect from other high-quality covers on the market, but we take things one step further. We believe that the right cover is not only functional, it's extremely stylish as well. Our covers are made with fashion and professionalism in mind. 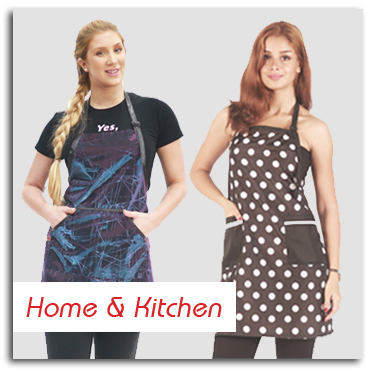 We create each and every smock and apron to fit comfortably, enhancing the body, which in turn enhances confidence. Not only do we offer a wide range of different covers, we enhance those covers with fun patterns, colors, and materials. Take a walk on the wild side with our black leopard apron, shine in our sparkling cobbler apron, or feel feminine in our dress apron. In the past, covers were primarily marketed to salon professionals. Smocks and aprons are definitely essential in this environment, but they can also be used by many other professionals as well. 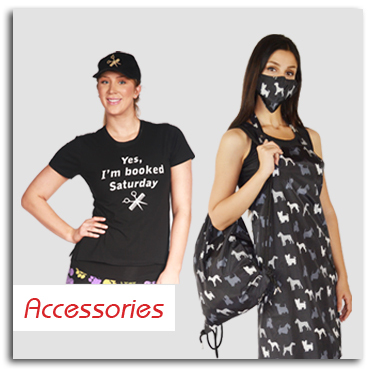 Each and every one of our covers is made with fashion in mind. 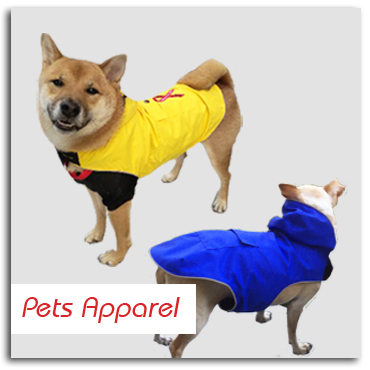 It doesn't matter if you deal with dogs, nails, or hair, we believe that everyone in the service industry deserves to feel comfortable and beautiful, which means offering aprons and smocks that are stylish, professional, and fun. Although you can purchase our designs in bulk, that doesn't mean we design them in bulk. Instead, our designer, Mina Kamali, creates unique, fashionable, high-quality salon and grooming apparel that is specially designed to make the wearer feel beautiful and unique. Because our designs are created in-house, you won't find them anywhere else. Our designs are exclusive to the Ladybird Line, allowing you to stand out from the rest of the salon crowd. Mina creates covers that are fashionable and functional, but they are also affordable. The entire Ladybird team believes very strongly that high fashion in the salon, kitchen, or anywhere else shouldn't cost a fortune. In order to bring you affordable designs, we have partnered with International Hilite, Inc. With their manufacturing capabilities, we are able to bring our designs to life quickly and affordably.